I love this one! I got one of his deals over the summer. I need to look through it and see what all is in there! ummm.. my love for frogs just got larger. Grayson is saying "rog" "rog". Too cute! What I love about your cards.. besides the fantastic colouring.. They are always so much fun.. and leave me with a smile on my face! fabulous card!!! I love the way you colored this image. Its so funny to this frog.. Its so cute.. 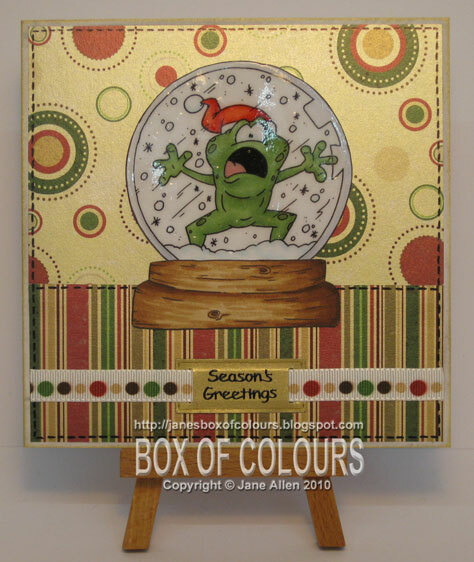 I just love this Christmas card...I like this design and background design. Thanks for this great blog.